This book analyzes Talcott Parsons' largest-scale effort to overcome the relativism and subjectivism of the social sciences. 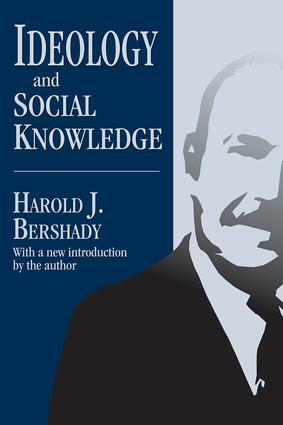 Harold J. Bershady sets forth Parsons' version of the characteristics desirable for social knowledge, showing that Parsons deems the relativistic and subjectivistic arguments as powerful challenges to the validity of social knowledge. Bershady maintains that all Parsons' intellectual labors exhibit a deep and abiding concern for social knowledge. From his first major work in the 1930s to his later writings on social evolution, Parsons' theoretical aim has been to provide an unassailable answer to the question, "how is social knowledge possible?" Ideological criticisms of Parsons' work, Bershady argues, not only miss his awareness of ideological influences upon social thought, but also miss the logical and epistemological strands of his thinking. This book sheds light on the persistent importance of the work of a major theoretical sociologist of the twentieth century. It also brings into the open and discusses issues of deepest concern to the philosophy and methodology of all of the social sciences.